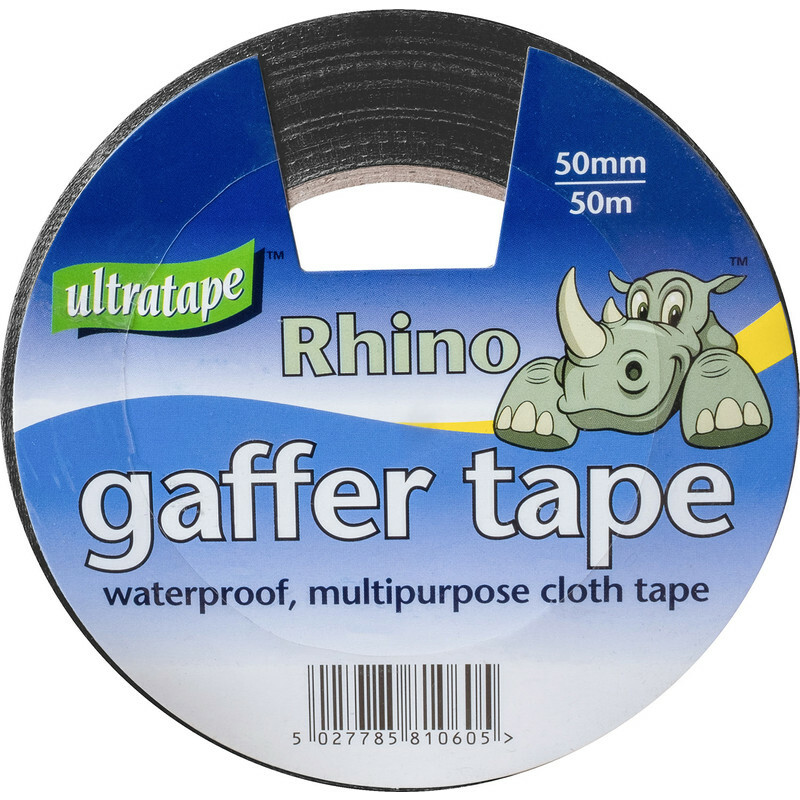 Highly adhesive professional waterproof tape. Heavy Duty Cloth Duct Tape Black 50mm x 50m is rated 4.5 out of 5 by 72. Rated 5 out of 5 by Dketty from Pretty sticky! Bought this for masking off roof areas for liquid plastic works. Sticks very well & done the job nicely. Compared to some i have had, this is very good value. Rated 4 out of 5 by Janicemc from Very sticky Bought to join the carpet underlay, sticks very well but is quite static and flips back on itself so if you are not careful you waste a bit each time. Rated 5 out of 5 by Paul1944 from Very sticky Good width for joining underlay. Usual Toolstation good price.